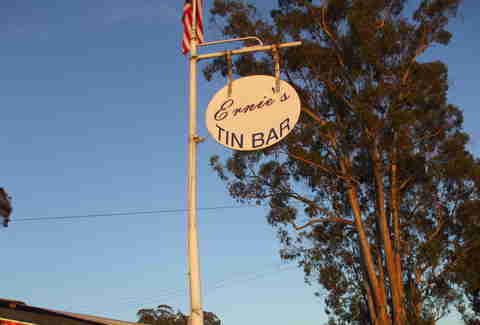 When you’re done pretending that you do, in fact, taste the hint of tobacco in your Cabernet, have your limo or bus or whatever-driver drop your wine-weary crew at any of these -- the 11 best dive bars in wine country (and officially the only places you won’t have to swirl your glass or sniff your drink before tasting it). 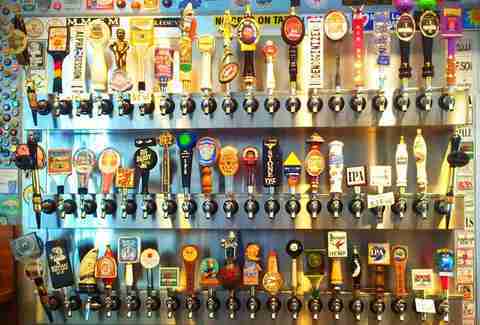 Sixty beers on tap, pool, darts, and an extensive menu of deliciously unhealthy bar food (fried pickles! Patrick's Fire Fries! Sal's Mozzarella Sticks!) make for a winning dive bar combination. Plus the large space means it’ll likely accommodate your entire crew when you have post-wine-tour munchies. 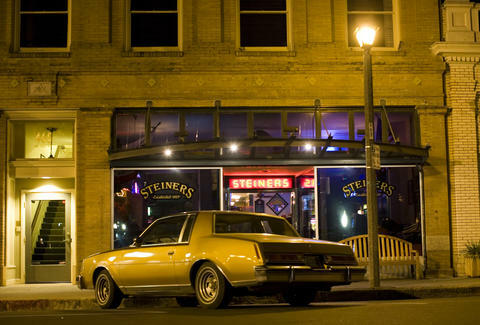 If Steiner’s (more on it later) is the domain of vacationers and wedding parties, Blue Moon Saloon’s clientele is a little more proprietary over their beloved drinking establishment. (Read: non-regulars might get some side-eye.) But, really, can you blame them? With pool, karaoke, and Jell-O shots on the menu, you’d be protective of this gem, too. Leave pretension at the door, belt some country tunes, and you’ll be fine. 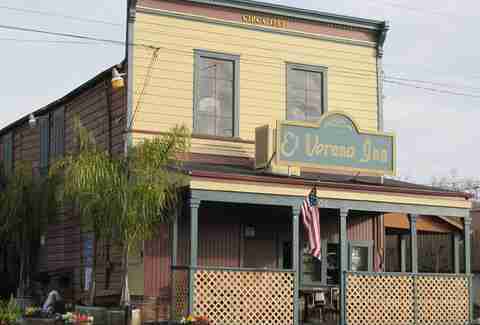 If small-town charm is what you’re after, the El Verano Inn has it in spades. The building dates back to 1887 and still retains much of its general store/post-office character. These days, however, people gather for the local live music and cheap drinks instead of... whatever people gathered for in 1887. It doesn’t get divey-er than a barn/car garage on the side of a country road with strict anti-phone policies. Get caught using your cellphone in the bar and you could find yourself buying a round of drinks. That punishment used to fit the crime with pints as cheap as $1.75 and barely enough room to sit more than a few people at the bar, but the new covered patio with palatial views has attracted many more patrons these days. On the clear opposite end of the dive bar cleanliness spectrum is this hard-drinking local spot, filled nightly with people who’ve called the wine country home long before tour buses graced its country roads. If you venture into this local joint, be friendly, bring cash, and don’t mind the cigarette smoke inside. 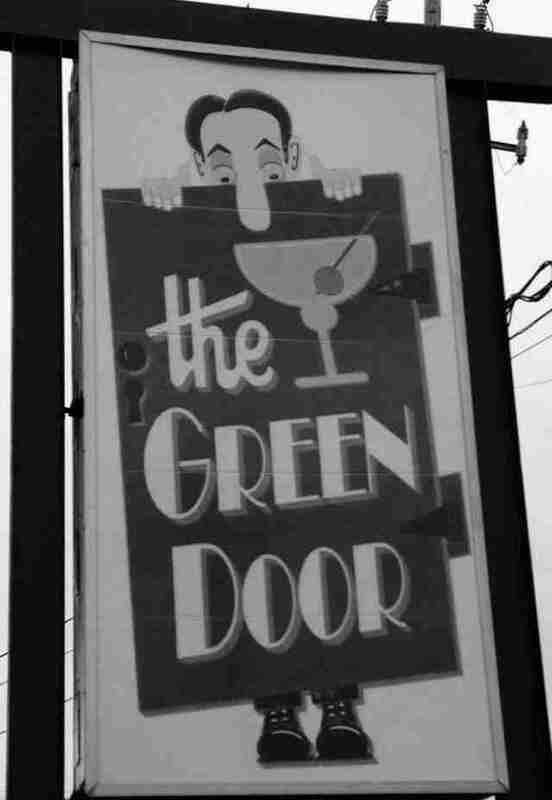 As an owner-operated bar, Green Door gets around California smoking laws -- something just about every patron takes advantage of. When Henry was manning this bar a block away at the original location in the ‘70s, it was the ultimate dive -- no sign, no set hours. Locals would know if drinks were flowing by the blinds: up meant they were closed; drawn shut meant there was a party going on in the tiny, dark bar. It’s since moved a few steps away to another small storefront, changed owners (though it’s still family-run), and gotten a sign, but it’s as much a local favorite today as it was before Napa exploded with wine tasters. 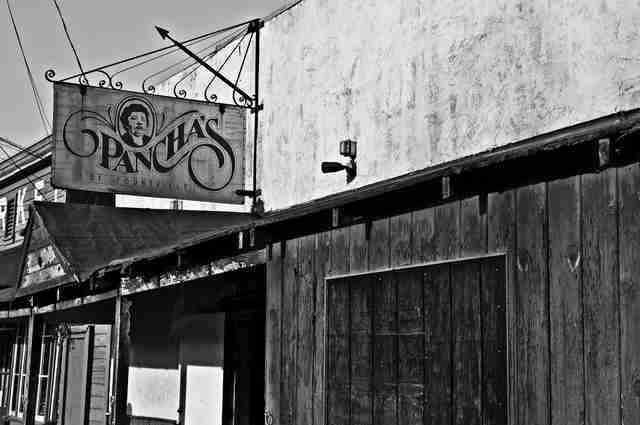 One look at the severely mixed ratings on Yelp of this easy-to-miss shack indicates that some people just don’t get Pancha’s. The point of this bar is not friendly service (if the bartender Rose delivers her signature salty “pleasantries,” chock it up to part of the experience); it’s not about craft drinks (sometimes the beer is flat, but the mixed drinks are always strong); it’s not about ambiance (the place is thick with smoke of all kinds and there’s not a single bar stool that doesn’t have the stuffing coming out of it). The point of this bar is that... whatever -- drink your drink or get out, which is exactly the sort of thing you may hear Rose say. The wine country bar scene can be divided into two categories: holes-in-the-wall that have kept farmers quenched and happy for generations, and newer establishments that emulate dives to provide those hard-working winemakers and locals a non-fussy place to hang. Stones, with its clean bathrooms and huge flat screens, is of the latter. 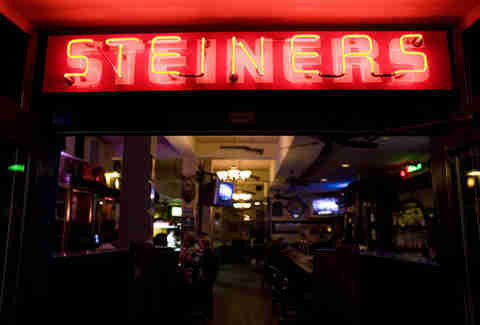 Come here for the delicious Bloody Marys or if you find yourself in the area on a game day. 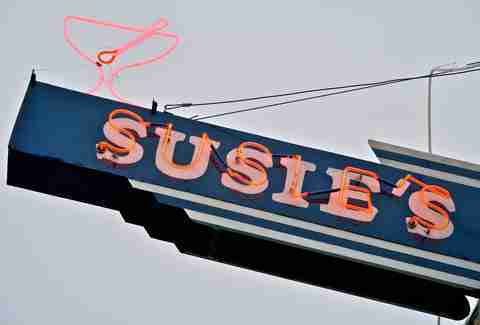 Though it’s slightly hidden from the main street and therefore generally the domain of locals or in-the-know visitors, Susie’s eschews any “us vs. them” attitude for a friendly, jovial vibe. The engaging waitstaff, who seem to actually enjoy their jobs, are the real stars of this simple bar. As the oldest saloon in Calistoga, it knows what works: good, well-priced drinks, occasional local live music, plenty of seating, and a few personal touches like the dollar bills pinned to the high ceilings. Amy Copperman is a writer in San Francisco, who sometimes Tweets. She enjoys chasing her wine with whiskey.